The most wonderful time of the year is coming right up and we enjoy celebrating it to its fullest! 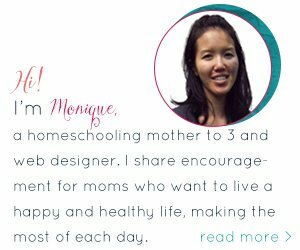 We make crafts, activities and so much more (including snacks) to celebrate the season. 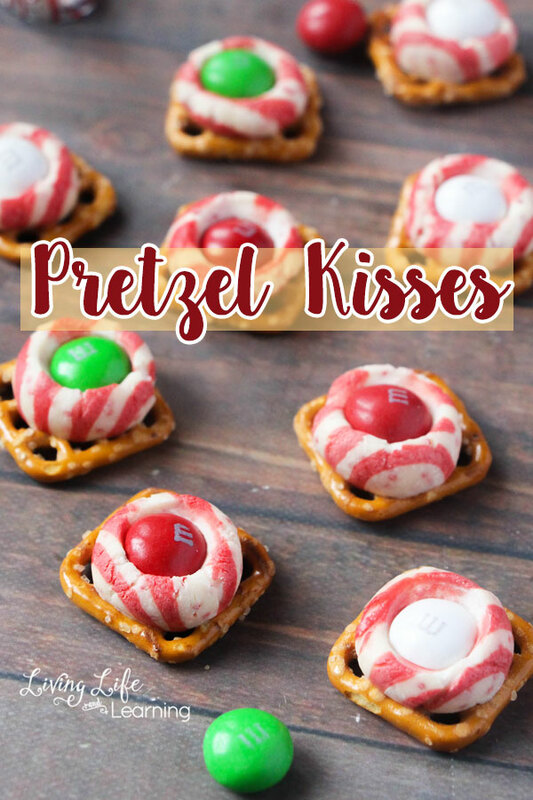 In this post, you will find out how to make these fun, beautiful and festive pretzel kisses. And you will learn just why these pretzel kisses make the best holiday snacks. 2. Line a baking sheet with tinfoil or a silicone baking mat. 3. Place pretzels on baking sheets, spacing out so they don’t overlap. 4. Unwrap Hershey’s kisses and place one in the center of each pretzel. 5. Place in preheated oven for 2 minutes, until kisses become glossy. 6. Remove from oven and place one candy-coated chocolate in the center of each pretzel, pushing down gently to set. 7. Chill in refrigerator before serving. 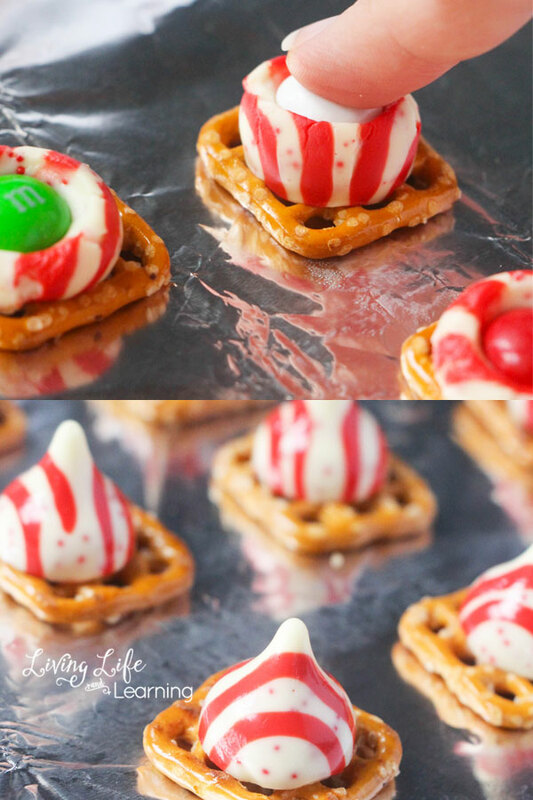 Thank you for visiting our Pretzel Kisses Make the Best Holiday Snacks post! 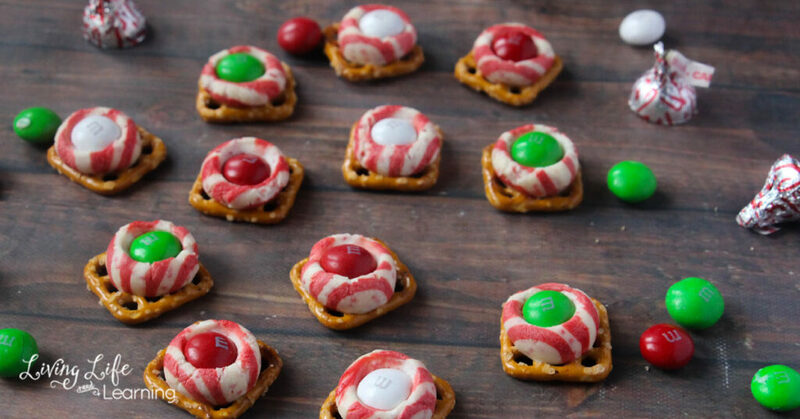 Here are some more holiday snack ideas for a party or anytime! I tried these last year without any success. Is there a trick?